SPRINGFIELD, Mo. – Guy Harvey, renowned marine wildlife artist and conservationist, joins host Rob Keck on Bass Pro Shops Outdoor World radio. The show airs Saturday, Dec. 13, 2014, at 10 a.m. and 5 p.m. Eastern time on RURAL RADIO’s SiriusXM channel 80. Harvey is also scheduled to make personal appearances at Bass Pro Shops Destin, Florida, and Spanish Fort, Alabama, stores. Harvey, whose popular depictions of marine life appear in prints, posters, t-shirts, jewelry, clothing, and other consumer items, will talk about his career as an artist on Bass Pro Shops Outdoor World radio show. He’ll also discuss how he advocates for marine conservation through the Guy Harvey Research Institute at Nova Southeastern University of Fort Lauderdale, Florida, and the Guy Harvey Ocean Foundation, an organization that funds marine conservation research and educational initiatives. A portion from the sale of all officially licensed Guy Harvey merchandise will go to the Guy Harvey Ocean Foundation. Each week, Bass Pro Shops Outdoor World draws upon outdoor experts from across the country. Show host Rob Keck, Bass Pro Shops director of conservation and a Redhead® pro hunter, and his guests provide listeners with the latest information about hunting, fishing and wildlife conservation. Shows air every Saturday at 10 a.m. and 5 p.m. Eastern time on RURAL RADIO’s SiriusXM channel 80. 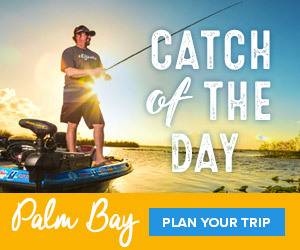 For more information, visit http://www.siriusxm.ca/programs/bass-pro-shops-outdoor-world/. Bass Pro Shops®, which specializes in outdoor fun, operates 90 retail stores and Tracker Marine Centers across America and Canada that are visited by more than 120 million people every year. Bass Pro Shops stores, many of which feature restaurants, offer hunting, fishing, camping and other outdoor gear while their catalogs and website serve shoppers throughout the world. The company’s Tracker Marine Group® (http://www.trackermarine.com), which has produced the number one selling brand of fishing boats for more than 36 years, manufactures and sells a variety of boats for fishing and cruising. Family fun is on tap at Bass Pro Shops resort Big Cedar Lodge® (http://www.bigcedar.com), voted number six by Travel + Leisure Magazine as World's Best Hotels for Families. For more information, visit www.basspro.com. To request a free catalog, call 1-800-BASS PRO. Follow us on Facebook at http://www.facebook.com/bassproshops.